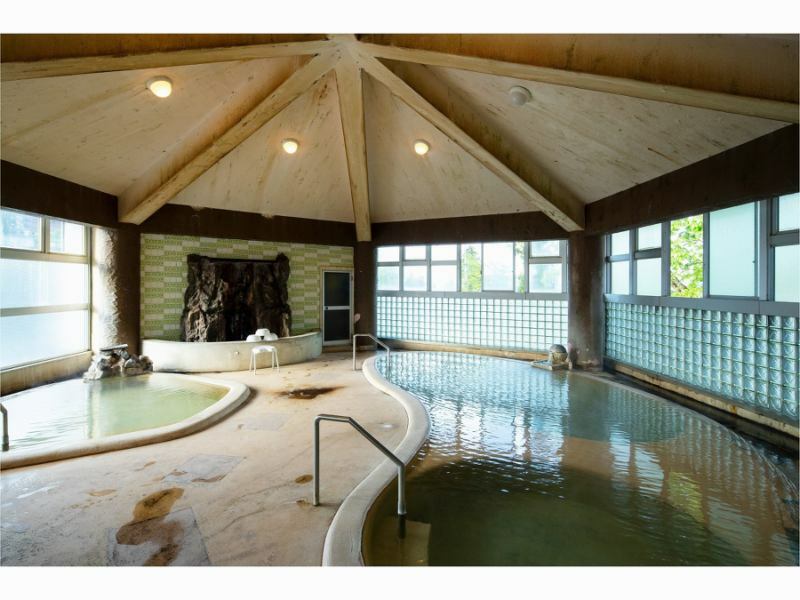 The baths at the Akakura hotel are all natural hot spring baths with plenty of fresh fresh water, with a 100% source Akakura Onsen from the Akakura Onsen in Mount Myoko. 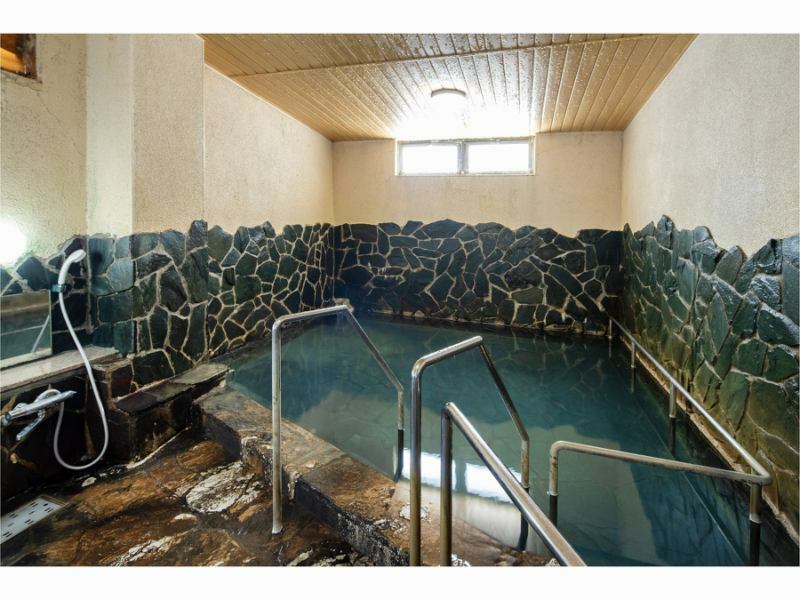 The number of sources of this facility is 24 and the hot spring is naturally released from the middle of Mount Myoko, and it is introduced to the hotel by the introduction pipe. 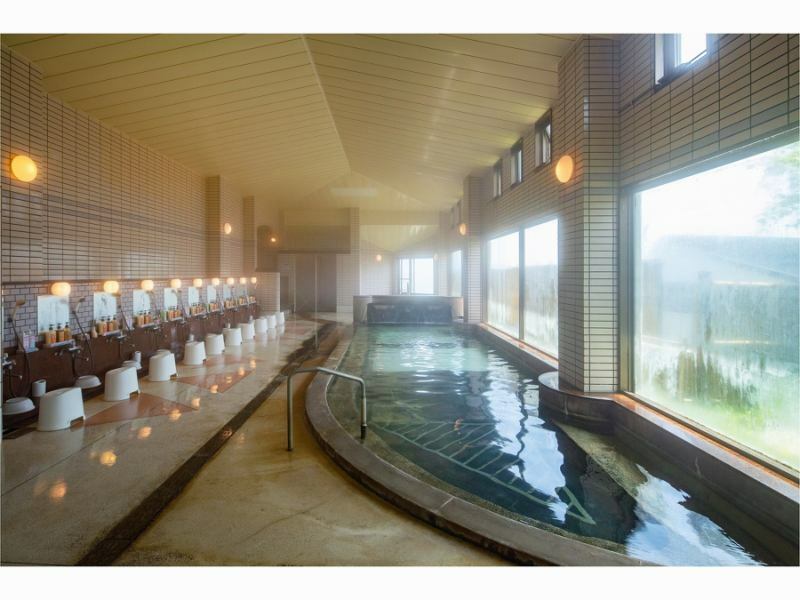 Thanks to its history of more than 100 years, this facility has the largest amount of hot water in the Akakura Onsen district. As well as the spacious public bath, we have an open-air bath, as well as a Jacuzzi bath, a sauna, and a mixed bathing outdoor bath only for the season. Great Bath "Yuen no yu"
An outdoor bath is adjacent to the public bath "Midori Yuen no yu". ※Children's beds are available at the dressing room for ladies. Baby also relieved! The ancient large public bath "Rakuraku-no-yu" and family baths are 100% source sprinkling sinks, so the bathtub is small, we are shedding 6 mouths. Adjust the amount of hot water accordingly, you can enjoy hot water of 3 kinds (high temperature, medium temperature, low temperature). It is a 43 ° C hot spring water source. There are two families with private family baths. "Myoko no yu" and "Koban-no-yu". 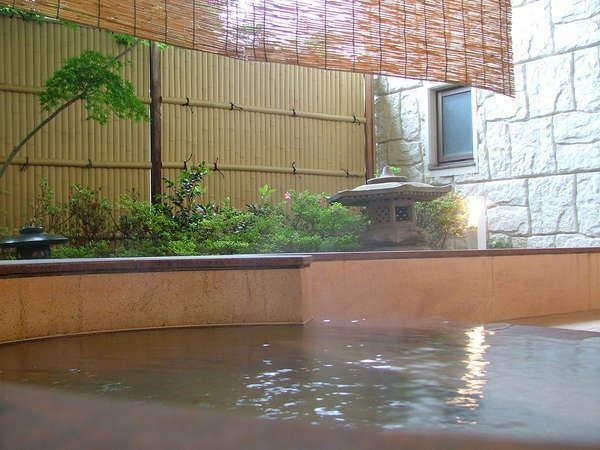 Inside the bath is a semi-open-air bath, so you can see Tsubosan. ◆Please make a reservation at the front desk (extension 9) as it will be based on reservation. 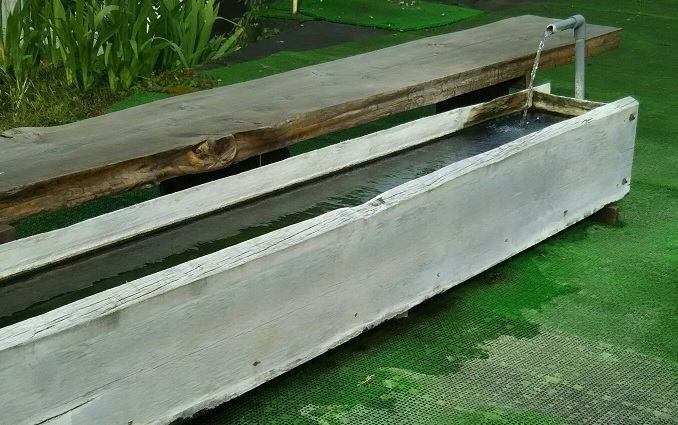 It is set up in the courtyard in front of the public bath "Yuen no yu". As for footbath, we also draw a hot spring of sinking from source. It is said that even if you only warm your feet, your physical condition will improve, so we recommend you. A towel for wiping feet is prepared in the back door of the main building shadle (lobby).